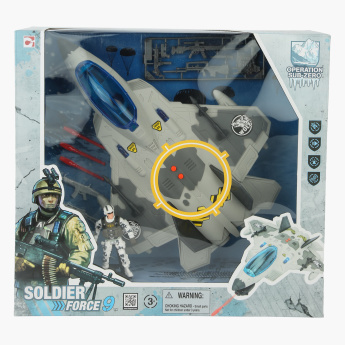 Soldier Force 9 Snowstorm 22 Playset | Multicolour | Join the soldier in a realistic battle with this amazing playset. 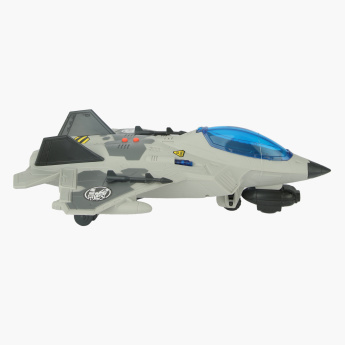 Your kid's toy collection will be up-to-date with the addition of this action-packed snowstorm plane. 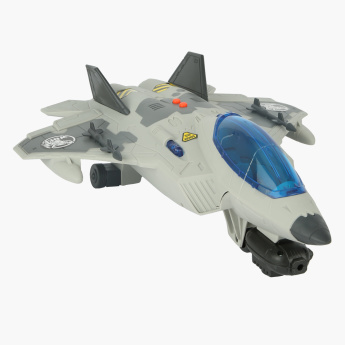 The working lights, sounds and missiles along with the soldier will bring out your kid's story-telling skills. 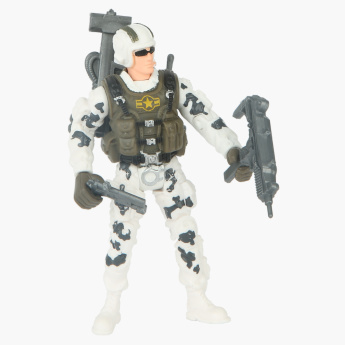 Feature 1 : Join the soldier in a realistic battle with this amazing playset. 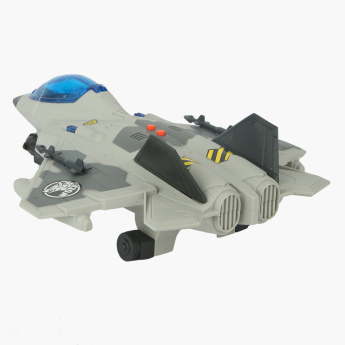 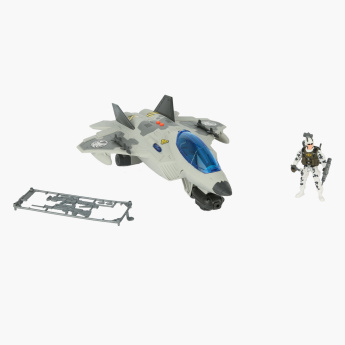 Feature 3 : The action figure fits inside the plane and all vehicles in the Soldier Force 9 range.